Each week, the Voice From the Crowd collection seeks to honour the story of a Canadian leader whose faith can be seen as an inextricable part of their contribution to Canada. Initially launched as the Thread of 1000 Stories initiative to mark Canada’s Sesquicentennial anniversary, this collection continues to grow and expand in partnership with senior editorial advisor, Lloyd Mackey, Founding Editor of the Online Encyclopedia of Canadian Christian Leaders. Join us as we continue to honour Canada’s faithful leaders past and present. 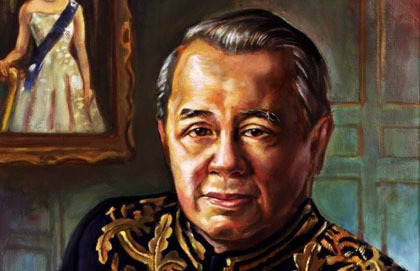 David See-Chai Lam was a Hong Kong-born businessman/philanthropist who served several years as British Columbia’s lieutenant-governor. A strong evangelical Baptist by faith, he also brought Confucian concepts of “harmony” into play in creative encouraging conflict resolution and management in business, public and religious life. David See Chai Lam was born in July 25, 1923, the second oldest of the nine children of Lam Chi Fung, a Hong Kong businessperson/banker and Chan Chik-Ting Lam. Faith, family and business values were equally significant in David’s upbringing. Baptist missionaries introduced the Christian faith to his grandfather, Lam Sui-Fun in the early 20th century. David committed his life to Jesus Christ at age 13, through the preaching of an evangelist named Chao Ze Qwong (Decision Magazine, January 1992). When David turned 18, his plans to attend Lingnan University, in Canton (Guangdong) were sidelined by World War II. For the balance of the war, he worked in the administration of the family’s coal business. Often, his life was at risk. Among the close calls: Being bombed at a dock, chased by pirates and opting not to board a ship that was later torpedoed (Roy, 36-39). Weighing the danger, Chi Fung decided it was time for David to undertake his university studies (Roy, 30). David earned his bachelor of arts at Lingnan University in 1947. Now reasonably fluent in five languages, he began graduate business studies in 1948, at Temple University, a Baptist-linked institution in Philadelphia. Summer waiter work at a dine-and-dance club in upstate New York helped pay for his education and introduced him to American culture. His master’s degree in business administration in hand, he returned to Hong Kong in the early 1950s. The Communist takeover of Mainland China in 1949 – during his time in the United States – brought a massive influx of Chinese people to North America. The chief markers of his next 17 years in Hong Kong were his advancement in the family-owned Ka Wah Bank, his marriage to Dorothy Lam, his emerging skills as a prudent and wise financial investor and his increasing sense of wanting to be independent – yet in harmony with – his family and other Hong Kong community interests. A “chance” trip to the rugged and scenic Canadian west coast had gelled into David’s and Dorothy’s thinking that Vancouver was the right choice. David met Dorothy at a ball in Hong Kong. Four dances with her persuaded David to get to know this “charming … beautiful” young lady better. For the next two years, they went out together until Dorothy obtained her [Hong Kong University] degree. They married in the fall of 1954 (Roy, 71). Over the next few years, three daughters were born to David and Dorothy – Deborah, Daphne and Doreen. Unbeknownst to him his banking management role, investments in several businesses (including a flower shop and a garment factory) and raising funds for Hong Kong Baptist College all prepared for the Lam family’s move across the Pacific. When they arrived in Vancouver, in 1967, the only job offers he received from Canadian banks were to return to Hong Kong to represent them there. He ended up joining Newcombe Realty, selling Vancouver homes mainly to new immigrants from Hong Kong and Mainland China. He took evening real estate courses at University of British Columbia. About 1968, his interest in investment real estate began to blossom (Roy, 101). For each new venture, Lam and his partners would start a new company with “Sunny” in the name: Sunnyside, Sunnyvale, Sunnyhill and Sunnyland, for example. The idea was to highlight the favorable West Coast climate (Roy, 102). Other arrangements with major Vancouver real estate and property management firms ensued. He became President of the International Division of Wall & Redekop, an assertive development firm founded by two Mennonite-rooted business people. Later, similar arrangements were worked out with McKenzie Management. In 1975, David incorporated Canadian International Properties. The Lam family income increased commensurate with David’s success at developing these investment, management and real estate partnerships. “Dorothy [described by David as a ‘gung ho’ girl] kept both feet firmly planted on the ground. Theirs was a happy and harmonious marriage. They enjoyed each other’s company and shared a strong Christian outlook on life … They made friends easily” (Roy, 124). Oakridge Baptist Church, close by a large shopping centre and rapidly-developing residential area in south Vancouver, was their “spiritual home”. They linked singing the familiar hymns in English and the daughters became active in Pioneer Girls program. In 1985, David fell mysteriously ill and was hospitalized for two months. He recalls that the illness, while sidelining him from many business and philanthropic activities, gave him opportunity to be ministered to by friends and pastors who had some considerable spiritual insights. He believes that down time prepared him for future business, charitable and community service roles. Surgery revealed a gall bladder condition that x-rays could not detect. After that treatment, he recovered quickly (Roy, 187). In 1988, after twice saying “no” to the request of then Canadian Prime Minister Brian Mulroney, for him to become lieutenant-governor of British Columbia – a non-partisan appointment representing the Queen – David sought pastoral counsel. I felt intimidated because English is my second language and I am not a native of Canada. Finally, after discussing the invitation with my pastor (Campbell Henderson, then of Oakridge Baptist Church), I said “yes”. I decided that if God wanted me in the role of lieutenant-governor, I would do it for his glory to be used by him (Decision Magazine, January, 1992). There were many ways in which David and Dorothy sought to communicate their message. One grew out of his youthful interest in horticulture – the cultivating of flowers and gardens (Roy, 16-18). David discovered some undeveloped ground at sprawling Government House, the Victoria residence for lieutenant-governors. With lots of volunteer help, contributions from seed companies and the careful supervision of Government House’s gardening staff, he developed a classical English Country Garden. It drew thousands of visitors – including, on one occasion, Queen Elizabeth II and her consort, Prince Philip. The Lams also took many low-budget one-day trips to remote communities throughout the province. Those trips were packed full with school and community meetings. Always, the theme of the message was harmony, understanding, respect for each other’s views and an appreciation of what it means to be a citizen of Canada. David sometimes explained the harmony principle and the context within which he applied it, along with his Christian faith. As a lad, David acquired the skills of philanthropy and leadership. He canvassed his father’s business office – at his encouragement – for a fund drive for the YMCA primary school he attended. He raised $500 – more than any other student – and won a silver cup for his efforts (Roy, 14). David sometimes explained the harmony principle and the context within which he applied it, along with his Christian faith. In a 1986 speech to students at the University of Victoria, he said: “Christianity is the religion by which I live my life, but I continue to draw insights from and be guided by Chinese philosophy. Harmony is the goal of Chinese philosophy. It stresses harmony with oneself, harmony with nature and harmony with humanity” (Roy, 155). In [then] recent years, British Columbia has experienced extensive immigration from Hong Kong and other parts of Southeast Asia. My position as Lieutenant-Governor has given me an opportunity to facilitate reconciliation whenever the immigration situation has resulted in tension. This tension comes not so much from racial differences, but from the fact that Hong Kong people with their “big city” background are being meshed with the residents of a province where the largest city has [at that time] only 1.5 million people (Decision Magazine, January, 1992). David’s marriage to Dorothy was rooted in love and in a common faith. The strong partnership showed itself in the forming of the David and Dorothy Lam Foundation, through which much of their education, religious and community charitable giving was channeled. A major grant to provide operating expenses for the first four years of the university’s Centre for Pacific Rim studies. The David See Chai Lam Management Library at the University of British Columbia (UBC). One of the most significant community projects which won their support for the $5 million Sun Yat-Sen Classical Chinese Garden strategically located in Vancouver’s Chinatown. Encouraging the “harmony” concept, they made available the first $1 million for the project. On the faith-based side was the Lam contribution to the development of Regent College, an evangelical graduate school affiliated with UBC. David and Dorothy committed to contribute $1 million of $5 million plus for a new building at a key corner on the UBC campus (Roy, 183). In follow up to the building project, David had considerable input to the development of a Chinese studies program at Regent (Roy, 183). An early 80s purchase of a prestigious office building in San Francisco, by their family foundation, for $6 million, gave David and Dorothy one of their best opportunities to “give back” to their faith and community. In a few short years, the building sold for $25 million and the laws were such that their foundation did not have to pay tax. That meant a very large part of the profits were directed by their charitable wishes. The strong four-part harmony present in Christian hymnody tended to match, in Lam’s mind, his avowed appreciation for reconciliation and harmony. After retiring from the lieutenant-governor’s role, Lam devoted time and resources to developing the David C. Lam Hymn Society. 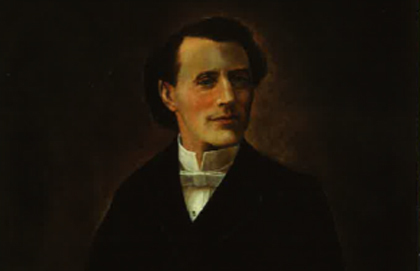 Through it, he organized choir tours and concerts which emphasized traditional gospel and inspirational hymn-singing. Such hymnody had been somewhat replaced in Christian worship by contemporary music, accompanied by guitars and drums, rather than organ or piano. Lam saw, in his love for the more traditional forms, a legacy opportunity. His efforts especially caught on in Chinese churches in Vancouver and Victoria. After his death, Herbert Tsang, music director at Vancouver’ Chown-Chinese United Church, took over the society and its work continues. Even when he was 80, he was energetically touring with a 60-person choir he’d put together. Singing hymns, Lam said, was a way “to communicate with each other through the heart.” In addition to old Christian hymns, he loved listening to classical music and, when he was in the mood, Whitney Houston. Lam, David See-Chai as told to Lloyd Mackey. Decision Magazine. Minneapolis, January, 1992. Dr. Lloyd Mackey has close to half a century of experience in community, faith-based and leadership journalism, including 15 years working out of the Canadian Parliamentary Press Gallery in Ottawa. Books he has authored include These Evangelical Churches of Ours (Wood Lake Books, 1994), Like Father, Like Son: Ernest Manning and Preston Manning (ECW, 1997) More Faithful than We Think: Stories and Insights on Canadian Leaders Doing Politics Christianly (BayRidge Books, 2005) and The Pilgrimage of Stephen Harper/Stephen Harper: The Case for Collaborative Governance (ECW, 2005/2006). He is founding editor/director of the Online Encyclopedia of Canadian Christian Leaders, an outgrowth of his Doctor of Ministry (DMin) studies, completed in 2015 through Tyndale University College and Seminary. In 1984, he earned a Master’s in Business Administration (MBA) at Simon Fraser University. He and his wife, Edna, are trying to practice “active retirement” and an examination of “social architecture” in the emerging Central City urban core in Surrey, BC. Photo made available and reproduced courtesy of the Office of the Lieutenant-Governor of British Columbia.) 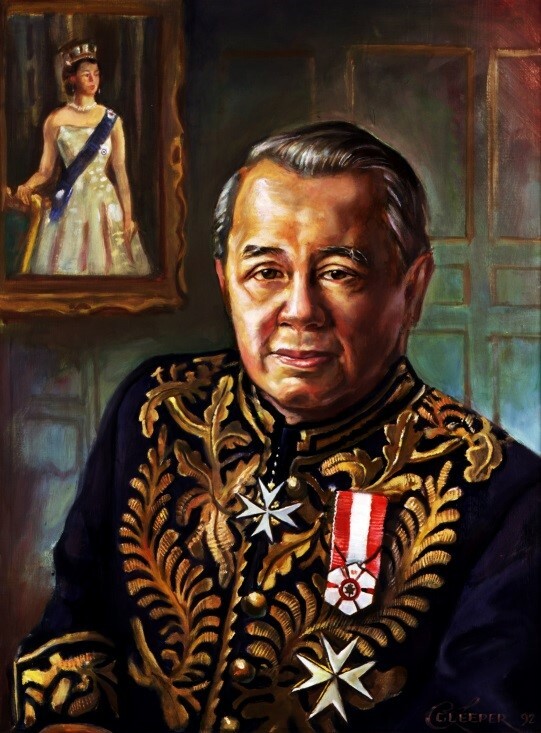 David See-Chai Lam, dressed in the regalia he wore in vice-regal ceremonies during his tenure as lieutenant-governor of British Columbia. 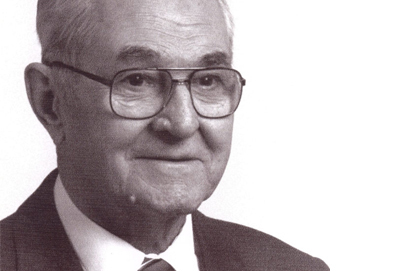 Leonard Crimp was a visible leader, always present. Able to cast vision and to inspire others, he took the long view; he led by example. Through the H. J. Heinz Company his influence was felt across Canada and in several other countries; in The Gideons it was felt around the world. 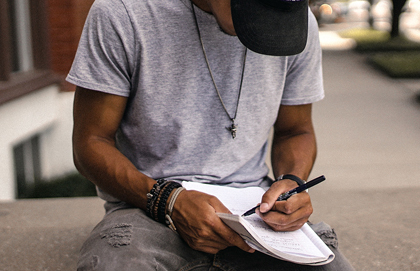 Senior Editor Peter Stockland shares about the Mitchell Prize for Faith and Writing and the Golden Thread Contest – and how they matter as ways to "bring together stories that vividly recount the role of religious faith in Canada’s past and present, and nourish active spiritual life for the future." As one-half of Canada’s most famous evangelistic duo, John Hunter’s mesmerizing preaching and dramatic delivery attracted the attention of hundreds of thousands of Canadians—including the nation’s first prime minister, Sir John A. Macdonald. Hunter’s forte was Bible exposition, using extemporaneous preaching with theatrical overtones.